Pablo, a golden dragon, born in 2000. I will be launching a Kickstarter campaign for the Enchanted Book! I studied English Literature as an undergraduate then earned two Master's degrees from New York University—one in Fine Art Photography and the other in Interactive Telecommunications. I have lived and worked in Australia, the Philippines, Canada, Great Britain and Kenya. I currently divide my time between Nairobi, Kenya and New Orleans, USA. 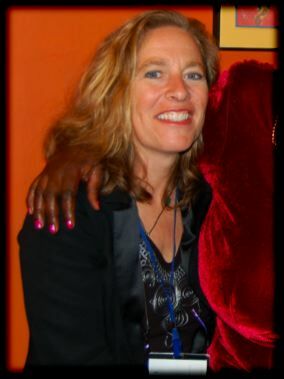 Bridget McGraw updated profile. View. 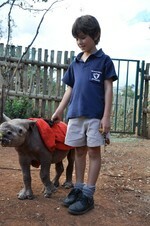 My son Pablo at the David Sheldrick Trust Elephant Orphanage with a baby rhino.